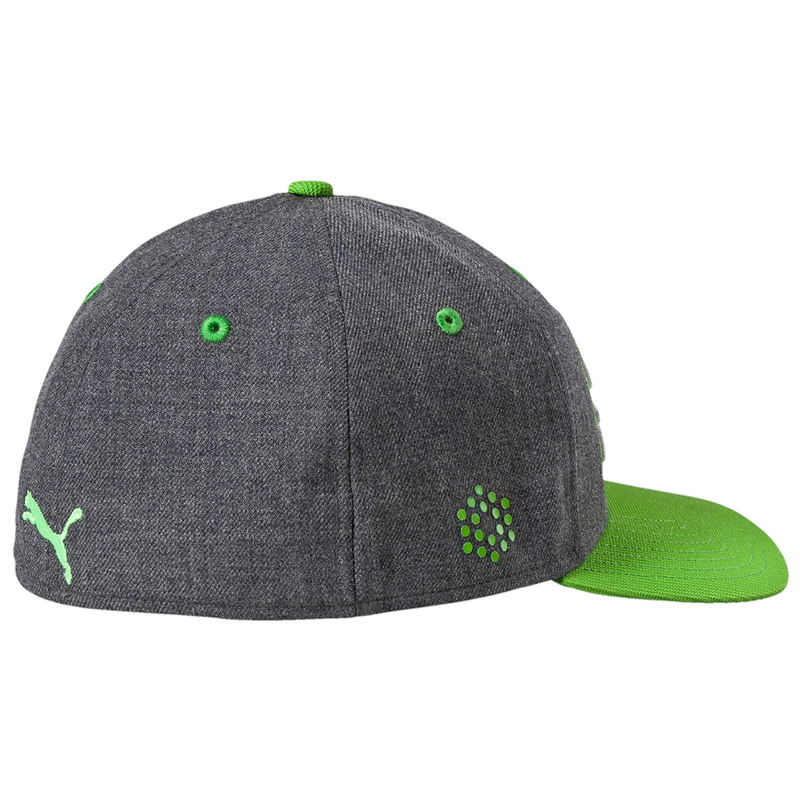 Look like a modern professional on the golf course this season with the stylish PUMA Golf Script Pre-Curve Junior Cap. Designed to help you perform better thanks to the black under visor to help reduce glare and keep you focused on your game. The moisture wicking interior performance sweatband will keep you cool, dry and comfortable. 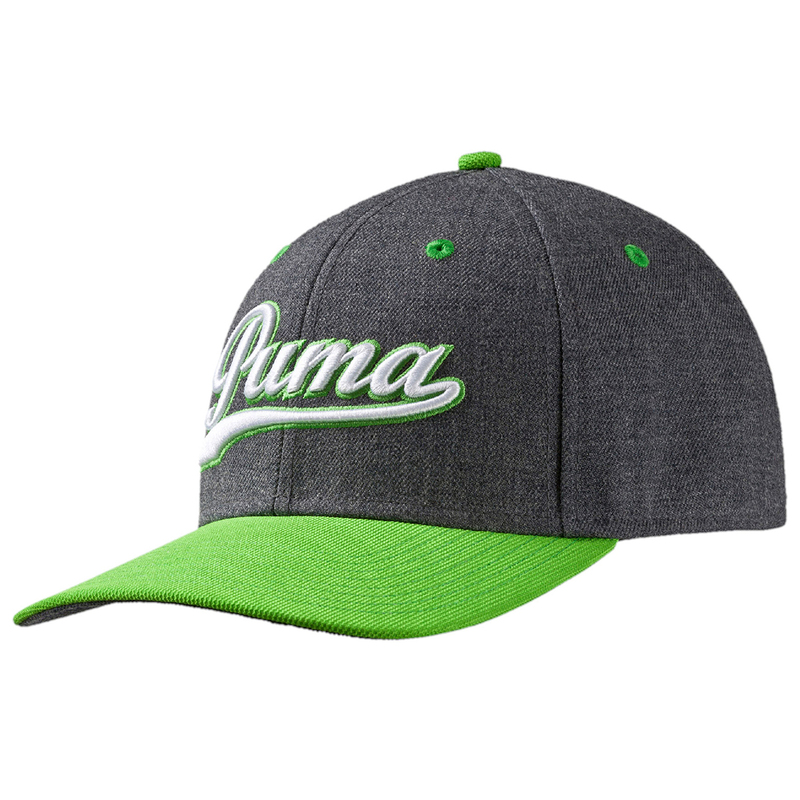 The design is complete with a 3D embroidered script logo on the front and an embroidered PUMA cat logo located on the back.